01 | What is Marketing and What is it Today? Marketing, at its core, is the beginning of your client generation, how you first reach potential clients, continue to nurture current clients, and re-engage past relationships. Marketing is no longer a world of advertisements and taglines, but instead, a den of experts constantly refining strategies using real data to figure out what messages resonate with clients, and through what channels those messages should be delivered. Law firm marketing now means growth, as growing a law firm today isn’t just about handshakes and conferences. People are searching online and offline for their next lawyer and it takes a consistent, persistent presence to stay top of mind as a law firm. Why Do Any Marketing at All? The exclusive industry of law has inadvertently opened its doors to invading non-legal entities as the sweep of tech innovation and rapid consumption has finally caught up to lawyers. We’ve already seen the canary in the coal mine with companies like RocketLawyer and LegalZoom taking over roles that once exclusively belonged to consumer law firms. Business firms don’t want to admit it, but providers like Axiom Legal are doing the same to them. These entities are growing faster than any law firm because they are applying modern marketing and business principles borrowed from winner-takes-most tech industries. We know that it’s no longer a good bet that a lawyer will have some success at a law firm just because they graduated from good law school or did good work ... and partners are beginning to understand that building a business in the legal industry takes more than a personal network, lunches, and firm handshakes. As more work is being taken away from lawyers, and more lawyers are entering the workforce, competition is increasing and the legal industry is feeling the spark of competition that has swept through every other industry. The vast majority of “lead generation” that’s visible in the legal industry is bull. That’s because buying lead lists is buying into the idea of a quick win, and law firms are not built on quick wins. Law firms are built on a predictable inflow of new prospects, a strong resilient image, and consistent execution. Firms need to focus on sustainable lead generation through long-term strategies. Lead generation is the process through which you acquire potential clients. In order to have a predictable and scalable business model for a law firm, a firm must have a consistent and measurable lead generation system. A lead is any person that shows some potential of becoming a client. These leads can range from ideal to garbage, but at the very least, a firm should know how many leads they are generating, how those leads are generated, and what happens to all of those potential clients. Knowing how many leads a firm produces, how many of those leads convert into potential clients, and how much it costs to produce a lead is critical to establishing an operational foundation for a firm’s business model. Image is important for a law firm because, to the untrained eye, the legal industry is selling a commoditized service. Whether a potential client is a consumer that only hires a lawyer a handful of times in their life, or an executive of a business that will need legal assistance a handful of times that quarter, “legal services” are a means to an end - in the same way that accounting services are. Now, before reader gets lost in their self-directed monologue rejecting the commoditization of the legal industry, you know that each firm and each lawyer can execute the same tasks in very different ways. Because we’ve been around the legal industry for a while, we understand that there are truly crappy lawyers in the world, and there are lawyers who represent the pinnacle of expertise and execution. We have the luxury of spending years in the industry getting to know faces, names, and firms, but our clients make legal decisions in days and weeks. They don’t have the time, nor the will, to explore the industry and understand what goes on behind the bar. These clients see what we project as our image, and if we aren’t projecting an image that fits what they are looking for then they have dozens of other firms to choose from… even if those firms aren’t the right fit. We don’t like it - but the truth of the matter is that even if that firm doesn’t do a magnificent job, as long as the legal matter at hand is taken care of in a “satisfactory” manner, the client is content… and content clients don’t look for new law firms. We’ll dive into the importance of bringing in new clients vs. executing on legal tasks later-on. The point of this section is that your firm’s image matters because as far as the client knows, your image is effectively who your firm is. Creating, maintaining, and adjusting your image to fit your ideal client’s needs is a full-time commitment, but it’s necessary to gain and retain the clients you actually want to work with. Not only will your potential clients see your image, but your projected image is often the first interaction job applicants and potential partners have. If your firm is looking to expand either the number of people you employ or the partnerships you have across the community and the nation, your firm’s image becomes that much more important. Before most of these applicants or prospective partners know who you are, they’ll know your firm’s image. And, quite frankly, people enjoy doing their own research. Even if these individuals know who you are personally, they are going to look up your firm online as well as ask any connections they might have. If your image is inconsistent across platforms or doesn’t closely align with what your firm truly is, then there will be negative consequences. One example we’ve seen is of an outstanding firm being referred a large commercial real estate deal by another law firm that vouched for it and losing the deal because the prospective client looked at the firm’s website and thought they were archaic, went to social media and saw only sporadic, recycled posts pointing to third party sites … Not what a modern law firm does. What could have been the deal of the year was lost before the first conversation ever happened. Shallow decision making? Maybe, but we make those kinds of decisions every day when purchasing from other industries. This isn’t me telling you to go get a new website, though some firms need them. A new website won’t solve core marketing issues any better than a new calculator would solve your accounting issues. One of the most difficult lessons firms have to learn is that the sum of the marketing tools is not equal to a marketing strategy. Likewise, your firm’s image is not about the locations it appears, but rather the messaging you convey. Establishing your firm as an authority in its field is one defining way to break the commodity circle that the legal industry is slipping into. Even someone who thinks that legal services are more-or-less the same still wants the most consistent delivery by the experts in the industry. Although legal services can be viewed as partially commoditized, clients are still willing to pay more for perceived expertise. Even if two estate planning lawyers can produce a will, a client would be more willing to pay a higher price to hire the lawyer who is published across the internet, is recognized by peers as an expert, and continues to be an active presence in relevant communities. The pleasant side effect of establishing yourself as an authority in your field is that the more you educate your clients, the closer to the legal industry they will become, and the more they will understand that not all legal services are rendered equally. Clients seek out counsel that comes from the top. Prove to them that you’re the authority in your field. The complicated ethical rules surrounding legal marketing can be a large mental barrier to firms that want to start or amplify a marketing strategy. When these ethical rules create a large enough mental barrier, partners of a firm decide that the risk of being in violation of an ethical rule surrounding law firm marketing is not worth the potential upside of engaging in a marketing strategy. 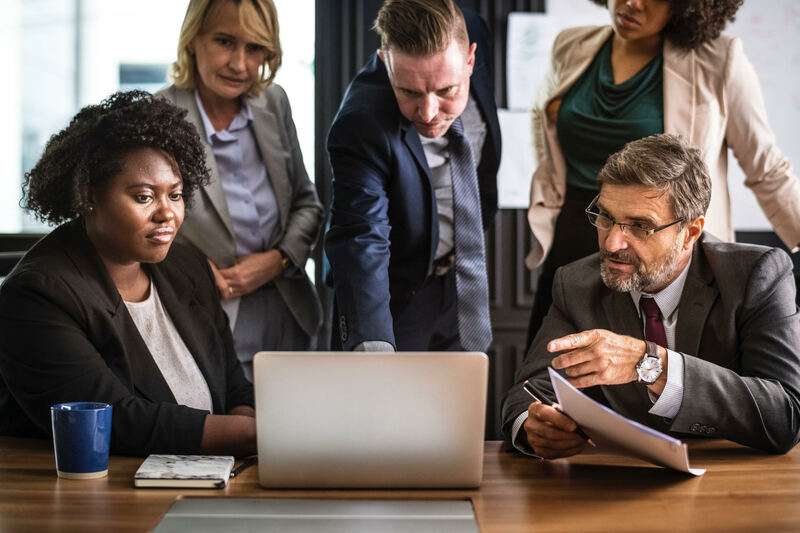 The rules can vary state-to-state so you want to consult an expert who is familiar with your geographic area, but here are the general guidelines to follow when marketing for a law firm. Here’s the counterintuitive truth: the first rule of navigating ethical marketing is to understand the marketing options available to you before you focus on the rules around marketing. There are two kinds of lawyers when it comes to ethical rules: those that are outcome-driven thinking and layer in the rules and those who obsess over the rules. Obsessing over ethical rules like Model Rule 7 (or 1-400 if you’re in California) is a very lawyer way of thinking. After all, obsessing over the rules is how many lawyers have made their living. 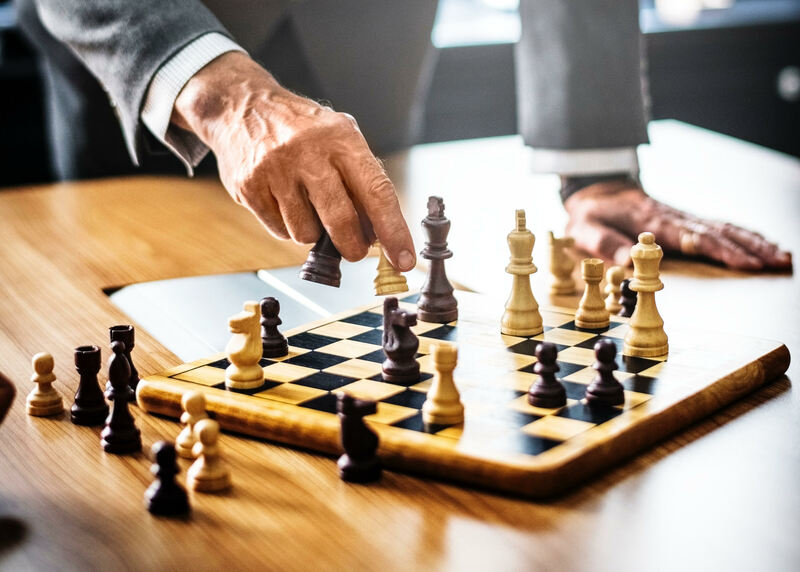 The issue with looking at the rules first is that it creates a mental barrier of evaluating future strategies based on if they fit within certain restraints. This format of thinking doesn’t promote outcome-driven thinking. Those that are looking to build a business ask how to do that first, and then they layer in the rules. Outcome-driven thinking is focusing on the goals that your firm wants to achieve, planning for those goals, and then layering in the rules. Start by thinking about what you can do, because if you think about what you can’t do then you’re going to start planning based on everything that could go wrong. Instead, start with “Where am I, where do I want to go, and what vehicles can take me there”. Eventually, those vehicles can be ruled out for ethical concerns or because they aren’t consistent with branding, but laying out your options first promotes broader outcome-driven thinking. For example, in marketing, you want to look at ideal clients, and then see how you can reach them. Once you have the options of how you can reach them, then you can decide which of these options are within ethical guidelines and adhere to your firm’s image. The rules have their place, but they have to come after you know what’s available. The rules will only apply as far as they are relevant to the marketing options of today. You have to know what’s available and then layer in the rules. Otherwise, you’ll start with a ruleset that is decades old, and create a marketing strategy that is even older. Often lawyers paint with a broad brush over entire marketing networks because of their ignorance or fear over ethical legal marketing rules. There’s no impermissible way of communicating. It depends on the message, not the method of delivery. Once we change the definition of “marketing” from the shouting style of marketing - and change to marketing as “providing content to educate and inform” - versus solicitation for legal services, your marketing strategy is opened up to opportunities that not only avoids the strict definitions of solicitation but head in the right direction. The vast majority of firms get the lion’s share of their clients from referrals. Whether those are referrals from past or current clients, or they are referrals from other law firms, those referrals are the lifeblood of firms across the nation. Managing partners are beginning to realize that a firm based on referral business has unpredictable revenue and cannot be consistently scaled into a larger or more profitable operation. Due to this, firms are looking at alternative sources of new clients. That being said, referrals still play a large part in acquiring new clients, and referrals will continue to play a large part of new business in the future. 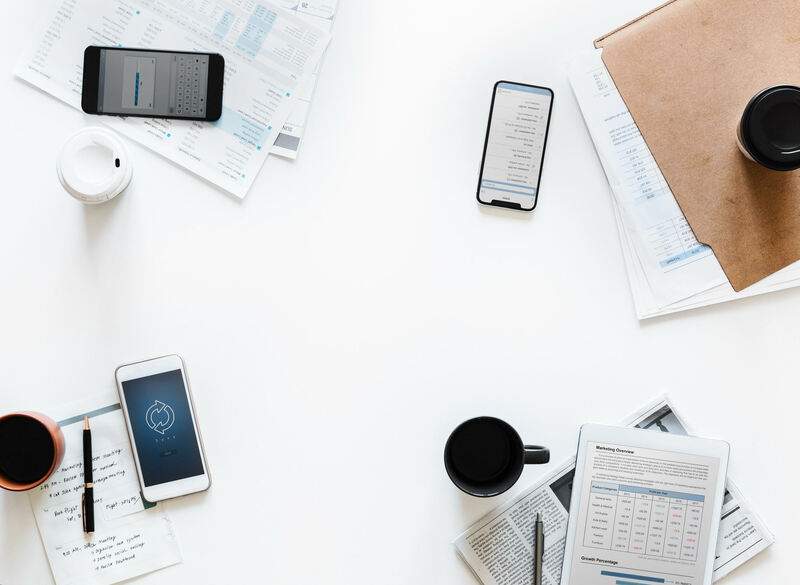 Thanks to advances in social media, data analytics, and years of engaging law firms, there are some proven ways to optimize and stabilize your referral business. client referrals: call scripts, messaging tips, and more. Firms that are hungry for new clients are susceptible to throwing cash at the problem. Like a poorly vetted new hire, these “quick-hit”, “stop-gap”, “boost”, campaigns are often expensive, disappointing, and more headache than they are worth. Paid advertising on Google, if not done right, is one of the most popular of those traps. It’s flashy, looks promising, and the results are as immediate as the cash flowing out of the firm’s account. But without daily monitoring, you can be upside-down in a hurry. 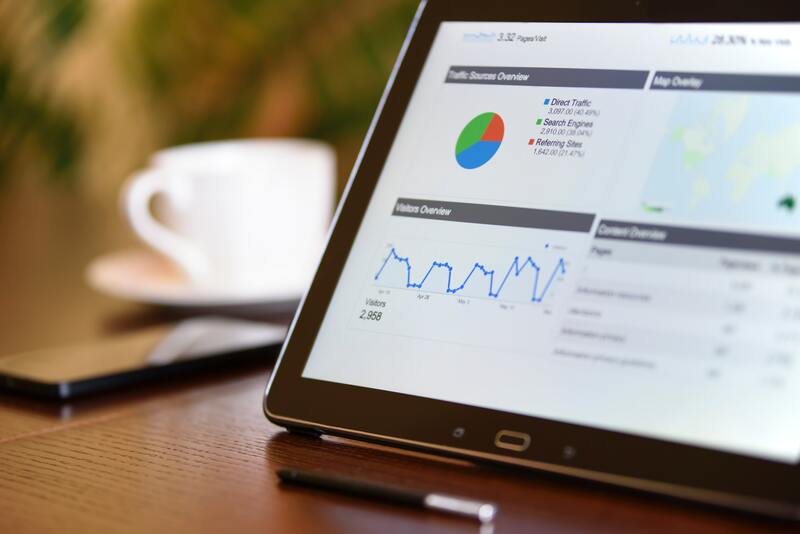 Google AdWords can be a wonderfully useful tool, but like a welding rod, the tool is purely an expense without a skilled professional behind it. Let’s not kid ourselves, Google exists to make money and it wants to make it as easy for people to spend that money as it can. Contrary to popular belief, search engines don’t really care if someone’s ad is making them money. There are enough firms paying for ads that most advertisers can be easily replaced by another firm offering up the exact same amount of money for the exact same place near the top of the list. What search engines do care about is fulfilling whatever their searchers need. If your advertisements help searchers, bring in quality leads for your business, and don’t exceed your targeted cost-perlead, then you’re doing things right. Once you understand the dangers of paid law advertising, you can break all of that down and learn the basics of paid advertising. Legal content marketing serves three purposes: it builds a relationship with your potential clients before you even meet them, it demonstrates your expertise to anyone who is looking, and it provides a robust information platform to help you appear on search engine results pages. Firms often neglect their social media accounts, if they have any accounts at all. While at times social media can seem “gimmicky”, “temporary”, or even a “general waste of time”, the truth is that everyone’s clients use social media. The difficult part is finding which platforms your clients use, and how they use them. Social media gives a living pulse to a firm’s otherwise stagnant online presence and is the equivalent to virtually shaking hands with your followers just to show them you’re still around. Social media can also be used to demonstrate expertise, promote content, engage in the community, and communicate one-on-one with potential clients. Choosing the "right" channels for your law firm often comes down to knowing which channels are worth trying. Marketing challenges for law firms can range from those unique to the law industry challenges, to the myriad common challenges that every marketing team on earth faces. Both types of challenges often stand in the way of law firms growing effectively, though. But why is it that these marketing challenges often seem insurmountable for law firms? Law isn’t homogenous. There are so many different types of clients, businesses, and practitioners. Every variable added makes marketing for a law firm that much more difficult. Couple that with the above-mentioned appearance of commoditization by consumers who aren’t familiar with the legal market, and you have an uphill battle for law firms. Generally speaking, there are two different client types for firms, and those client types will dictate where your marketing strategy will go. Clients for firms either fit into the corporate representation bucket or the consumer representation bucket. Cultural context - These clients understand that lawyers are a part of doing business. If your clients are business owners then they have familiarity with lawyers. How they view lawyers - Appreciation for attorneys might differ, but they are familiar with the presence of lawyers and understand that their presence is necessary. How they respond to information - Corporate clients often create a personal relationship with an attorney. Implications for marketing choices - You’re going to have to nurture this client for a while before this client actually engages. You’ll need more content to engage potential clients and talk to them about their potential challenges. 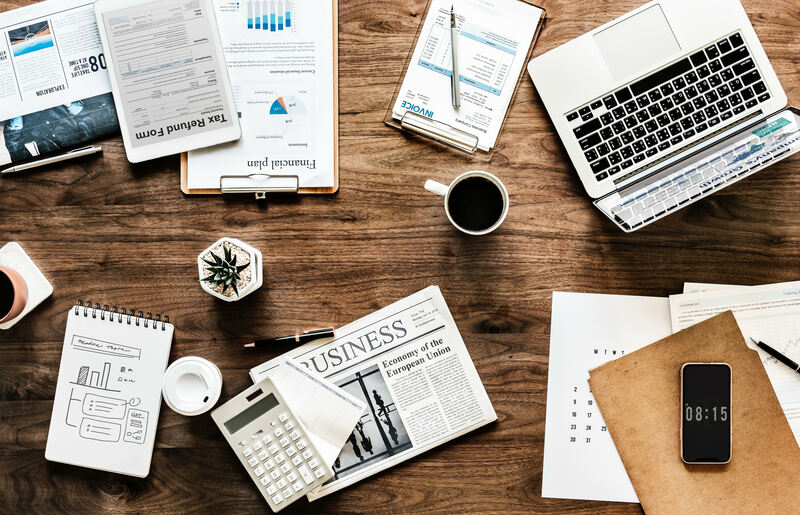 Materials that your firm puts in front of clients must connect with what you actually do, and they have to follow a fact pattern that is familiar to the business owner. Case studies, for example, will show fact patterns that look similar to what business owners are facing. In-person seminars will educate potential clients and put a face to the name of the firm. You’re staying in front of them and waiting for the time when their need intercepts your offering. You might recognize this … Remember when your billables were light, maybe early in your career as a firm owner? So you’d go out to have lunches and coffees, go to mixers and out for drinks, and out of that, especially in the early days, your base of business comes. That’s because you’re actually out there, interacting with real people and understanding what their issues are and mapping their problems to solutions. The job of marketing is to do the same thing - but in a leveraged form - so you don’t have to personally go out there. You can, but you don’t have to. You know that if you’re going out to lunch with someone once a quarter, that’s not as effective as once a month. Quantity and frequency of content (which is their emissary into the world) are usually where lawyers get it wrong. While lawyers tend to produce well-written content, that content is rarely published at a regular cadence (and much of it is overly technical and turn off prospects - but that’s a story for another day). Most of the firms we see that are producing content will publish a flurry of posts and then their frequency will trail off for a few months until they have another content storm. Quality is more important than quantity, but it’s important for firms to have a regular cadence of content creation. Prospective clients of consumer practices may do some research and engage an attorney in a matter of days, this isn’t usually the case for corporate clients. Cultural Context - Lawyers are irrelevant until needed. Legal situations are outside the norm of their day-to-day lives, and most consumers would ask someone they know (62%) or do online research (31%). How they view lawyers - Consumers are slightly afraid of contacting lawyers since calling a lawyer can be a scary thing. Yeah, we’re scary. Deal with it. How they respond to information and relationships - Personality based marketing. Consumers are suspicious, but showing who you are as a firm, as people, and as an attorney lowers that suspicion. Although you want to be professional, you also want to connect with clients on a personally relatable level… before you even have that initial phone call. Implications for marketing choices - Consumers are scattered and will reach for their most familiar channel when they need legal help. The implication is that your firm needs to be spread across many different channels and you need to understand where your consumer clients are coming from, what they are used to seeing, and how they are consuming. If a potential client is used to purchasing or communicating in a certain way, then you don’t want to jar them out of that pattern with your wildly different forms of communication. Adjust to the consumers. Different strategies for marketing your law firm are often, but not always, tied to the type of representations listed above. Both kinds of strategies are designed to hold activities accountable and generate revenue. You have to focus on publishing content AND spreading it. It takes both, if you’re just producing content and nobody is seeing in it, then you have the “tree falling in the forest” problem. It’s not good enough that your firm is producing content, your firm must be promoting that content so it is actually being read regularly by your potential clients. Lead generation through advertising or more direct outreach is the fastest path to clients and revenue BUT it comes with a price tag. This type of marketing also only works for certain kinds of clients. These clients have to be able to make autonomous decisions and have an acute need. In response, you have to get to the heart of their problem. The issue that most lawyers have with this kind of marketing is that lawyers are often terrible at analytics. It’s not really those lawyers’ faults that they aren’t experts in analytics, they have other areas of expertise, but they can be culpable of believing that they know how to use data. Think of it this way: when a client thinks they can do your job, how much do they actually know? Well, yeah, that’s about how much most lawyers know about analytics. It’s a miles-deep area of expertise. Respect it. Most of the firms we’ve talked to don’t really understand the formula of paying X dollars and getting Y dollars of revenue (yes, this includes you, business lawyers). Of course, it’s easy when it’s simplified into a two number equation, but so often marketing is grouped into other “costs” like the rent, instead of the investment vessel marketing should be. Rarely would you put a thousand dollars into rent and expect to calculate the return in productivity, but every firm should be able to put a ten thousand dollars into marketing and know exactly how much revenue those dollars should create. If your marketing department can’t give you that simple ratio, or if your marketing firm won’t share that number with you, then you have a problem on your hands. Choosing your strategy for your marketing spend means looking at the big picture. … Now in this case, not only did they not know their return on investment when they contacted us, but the agency they hired was actually damaging the law firm’s online reputation by neglecting their website’s quality score. Meaning, what the firm was paying was actually hurting the firm! So not only was the agency not monitoring the return on ad spend, but nobody was monitoring other metrics and as a result, this law firm was paying multiples more than they should be for low quality leads. Unfortunately, this isn’t a rare story for firms who aren’t used to data-driven marketing as an investment. Here’s the thing. Decide to spend smart, or don’t spend. If a lawyer doesn’t think this way then the firm either doesn’t have accountable marketing or they have the legacy marketing mindset of, “the clients will be there and the work is what’s important”. After talking to multiple thousands of firms, it is very clear that there is very little correlation between the quality of legal work and the revenue of a law firm. Client work is ‘table stakes’ these days and good client work only matters if you have clients. Your impact is determined not solely by the quality of your work, but if you can get that good work out into the world. To do this well, to lavish attention on your clients, you need profitability. If you want to increase your firm’s revenue you can’t just do good work, you have to invest in marketing. It has to be an investment of knowledge, time (yours or other), and money. It’s nearly impossible to grow firms by word-of-mouth. Maybe 1% of firms can be successful that way in the long term. There are a few cases of it, but even if you are the one-in-a-hundred that can grow based on word-of-mouth, you can’t control the future of your firm because you’re relying on word-of-mouth that’s out of your control. Most firms focus on tactics vs. strategy when it comes to their marketing. Instead of focusing on why, firms tend to focus on the how by experimenting with different kinds of marketing channels without an underlying plan. Partners at firms will read tips on blogging or SEO, but all of these tips are about tactics and are time bound. The strategy is timeless because it is couched in understanding how clients are generated. Law firms can get lost in the minutia of marketing execution, without actually planning for strategy. Lawyers do not understand that their clients are not like them. Trust me, our founder Raj Jha was one of those lawyers for a very long time. Lawyers market in a way that they think they want to be perceived, and in a way that they would respond to. As we’ve already discussed, there’s often a massive disconnect between what lawyers are saying with their messaging, and what potential clients want to hear. Market Segmentation Analysis is the process through which you can divide your target potential clients into buckets so that you can focus your messaging to exactly who you want to reach out to, and communicate with them in an effective manner. The proper way to determine the demographics of your potential clients is to drill down into your clients and build a picture of that ideal client. You need a full analysis of psychographics and behavioral patterns of what those clients do and how they act. This determines your media, messaging, what they need to see at their different stages of their decision-making process. Very few law firms properly use analytics. Even the top 5% of firms that we talk to are using a horrific combination of spreadsheets that don’t really fit their strategy. If you have a strategy, then you understand what all of the numbers need to be, where you need to invest your time and dollars, what content you should be creating, where you should put your content, and how much it costs to acquire a client. If a firm isn’t using analytics then they are flying blind. Investing in marketing without analytics is like investing in a stock without even knowing the name of the company. CAC - Customer-acquisition-cost - The CAC of any law firm is how much it costs to turn a potential client into an actual client. It’s important to note that this isn’t a guess or an estimate, this is the actual dollar amount. It’s a difficult number to get to without a robust analytics platform, but a vital metric for your law firm’s success. If your CAC is $1000 and the client is only worth $800, then clearly you’re going to have an issue. It took you $1000 to land an $800 matter. Same for $10,000 and $8,000. Your changing CAC will also help you quantify your marketing efforts. If a marketing strategy will reduce your CAC by 50%, then you’ll know exactly what the financial impact should be on your firm. Despite how important this metric is, very few firms know their cost to acquire a client. CPL - Cost-per-lead - Cost per lead is how much it costs your firm to get somebody’s information who is interested in your services. Maybe your firm bought those leads from a service or database, though that has its own problems. Hopefully, that contact filled out a form on your website and wants to be contacted. Regardless of how you got that lead, the CPL is how much it cost you to get their information. 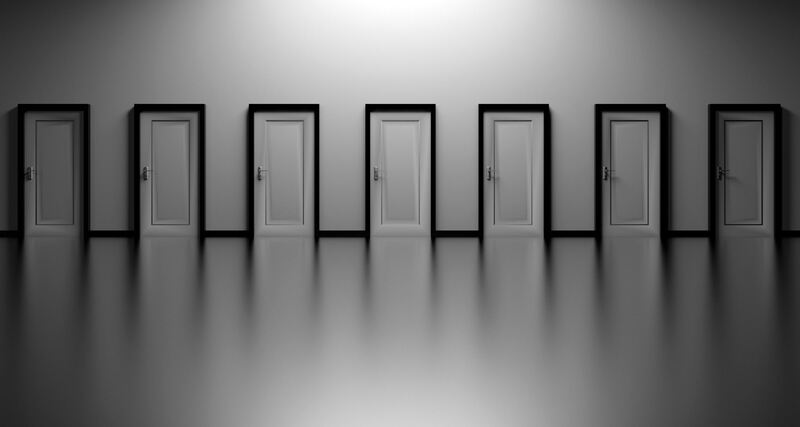 CPO - Cost-per-opportunity - Cost per Opportunity is how much it costs your firm to get somebody through the door, past the initial consultation, and into an actual sales opportunity. This is the strongest measurement of your demand generation program, as closing a client can often depend on circumstances outside the scope of the marketing or demand generation program. Lowering your cost per opportunity means lowering the amount of money your firm spends per each prospective client that gets to a stage where it’s an actual opportunity to generate revenue. LTV - Lifetime-value - The lifetime value of a client is how much revenue they will bring to your firm over their entire lifetime as a client. If your client only pays you once for services rendered once during their lifetime, then that LTV equation is pretty easy. If your clients bring you different amounts of revenue across different periods of time, then you’re going to have to do some math. At the end of the day, if you know the LTV of a client, and you know the CAC of a client, then your firm has a fundamental understanding of the metrics driving your business. Every industry is moving faster than the legal industry. It's time to catch up. So many firms are thinking about today, not thinking about three years down the road. If you’re close to retirement then it may not matter, but five years from now, the legal industry will be different. Every industry outside of the legal industry is jumping by leaps and bounds and it’s only a matter of time before firms start to catch up. We’ve already seen the canary in the coal mine with non-legal entities taking over portions of the legal industry. Lawyers can no longer take for granted the protection of the legal industry. The longer you can reinvest in your firm, the better. Law firm marketing is stuck in the past, modern marketing hasn’t made it to the law, but a steamroller is coming. Marketing technology has surpassed law firms across the company, and if they think that a website, newsletter, blog, and social media posting is marketing - they’re already dead. They just don’t know it. Clients prefer transparency and predictable costs - whether this is your client’s first engagement with a lawyer, or this is your client’s third engagement this week, your clients prefer flat fees for two different reasons. They either fear high, unpredictable costs or they want to use your predictable costs to build into their structured budget. If your clients are mostly individuals, then they may prefer flat fees because of their limited budgets. Companies generally prefer flat fees because of their financial forecasting. Either way, clients much prefer flat fees to billable hours. It’s a symptom of a well-managed firm - Generally, lawyers prefer billable hours because it is easy to translate hours worked into revenue earned. It’s simple to calculate, takes zero forethought, and at regular intervals, you just do the math and ship the bill to your client. Flat fees take planning, scheduling, and most importantly, a very firm grasp of your firm’s operational costs. The cold truth is that most firms prefer billable hours because they don’t understand the daily operational cost of their firm, and therefore they can’t plan out how much an engagement will cost. We’ve found that many of those firms have reactionary budget planning where they look back at the end of a period to see “how they did” and then try to base their future plans accordingly. Having a firm grasp of operational costs enables law firms to charge a flat rate fee. Flat fee firms tend to forecast their costs and revenue according to their current and potential clients which in the end, creates a more predictable business operation for their partners. It takes a lot of effort to establish a flat fee for a firm’s services, but any firm that is able to establish a flat fee has a good grasp of their operational costs and can plan their time accordingly. Firms are transitioning from an hourly billing based industry to a flat fee based industry. While there are some lingering professional services industries that still charge per hour, the majority of professional services charge on a project or monthly recurring fee basis. Of course, flat fees aren’t appropriate for all areas of practice and some practice areas will rely on contingency or hourly fees (especially where court approval is necessary), but thinking through the price of your firm’s operations will create consistency across your organization. Creating consistency not only demonstrates a strong grasp of a firm’s operations, but the transparency also encourages clients to engage a firm for their needs. The cold truth is that most firms prefer billable hours because they don’t understand the daily operational cost of their firm, and therefore they can’t plan out how much an engagement will cost. Identify the key questions attorneys should ask to develop a sustainable and effective marketing strategy. Local marketing businesses have a leg-up on buying local media, knowing the local community, and being able to meet you in person. If you’re not looking to be on your local radio station, then you may not actually benefit from hiring a local firm. Here’s what you get with a local firm. Law firm marketing takes coordination, skill, and a massive amount of time to turn your firm’s marketing into the self-sustaining engine it should be. Thankfully, your firm doesn’t have to create that engine by yourself. If you’re ready to see what a top-shelf law firm marketing strategy can do for your firm, let us know. Liza Hanks, Partner at Finch Montgomery Wright, LLP, saw a 60% increase in client generation after outsourcing marketing to Practice Alchemy. Learn how Business Law and Estate Planning attorney Dave Ison paid off his marketing fees by generating clients after only one month. With the right law firm marketing team handling his marketing execution, attorney Lee was able to earn back more time each week to plan and practice. How Referrable is Your Law Practice? This quick diagnostic "scorecard" will highlight how well your current marketing is positioning you for referrals - and provide specific steps to increase your referral business. Making professional connections isn't all that hard on social media. 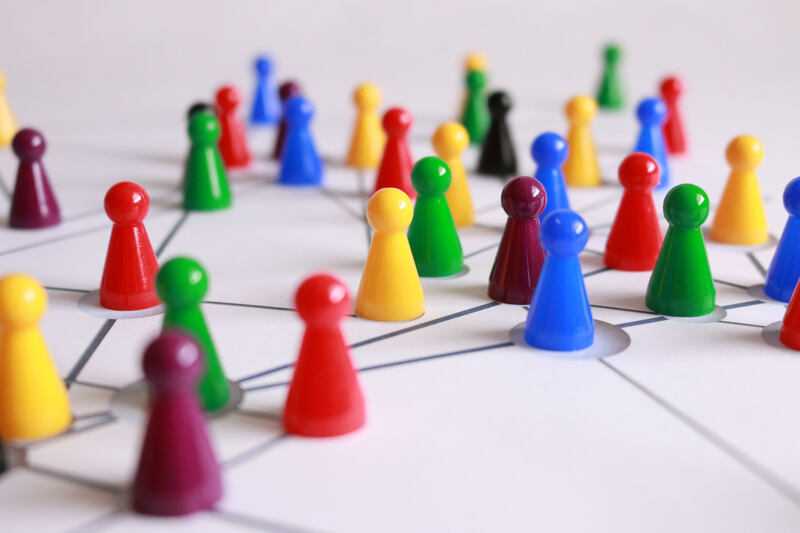 Making quality professional connections that lead to beneficial partnerships or new client relationships, though... that requires a tactical approach. Do You Have a Tough Time Asking for Referrals? Tests are always easier when you have the answers in your hand. We don't condone cheating, but there's nothing wrong with having a helpful script on hand when you ask your partners and clients for referrals. Positioning yourself as an authority is critical. It affects how many referrals you get, how much clients will pay, and, when done correctly, can begin a new chapter of truly enjoying your practice. Do You Know Where Your Firm Will Be a Year From Now? Your perspective on practice development determines how much your firm is going to grow. Getting into the right mindset leads to critical assessment of your progress, which in turn leads to the development of a winning growth formula. Could Your Fee Structure Be Hampering Your Practice's Growth? Discover how to leave the billable hour behind and position yourself as a premium-priced flat fee practice. This guide has helped attorneys from over twenty practice areas drop the billable hour. Is It Time to Hire a Marketing Manager for Your Firm? Marketing is at the absolute core of your law firm's growth. But many firms struggle to find the time or experience needed to strategize and execute marketing plans. Enter: the marketing manager. Request a free marketing assessment to find your firmʼs areas for improvement.